I’ve been fiddling around with some new ideas - and as usual some of them have shown promise and others have been complete duds. I’ve found one method to be particularly useful, and so I’m going to describe how it works in this post. 1) Just because I’ve published a new method, doesn’t mean that you have to try it out. 2) It doesn’t invalidate any of the methods I’ve previously described. 3) I’m not claiming that this is the best method for anybody, let alone everybody. 1) It is strongly weighted towards the beginning of the list, which is where the most difficult stuff tends to gather. The result is that one feels that one is really achieving something, rather than just processing trivia. 2) It prevents the phenomenon of “chasing the end of the list”. 3) It is simple and fun to operate. 4) It can cope with a large amount of work. In fact the bigger the list, the better it works. The rules are very easy. You start with a list of tasks. This can be as short or as long as you like. Add new stuff as you go along. Select one task out of the entire list. Do it. When you’ve finished working on it, cross it out with a long line which extends into the margin. Unless the task you chose was the first task or the last task, the list is now divided into two unequal halves (or possibly equal halves if you chose the exact centre task). Do one task out of each half. The list is now divided into four unequal quarters. Continue in this way. Each time the list is divided further and further. Because you will be continuously adding new tasks or re-entering old tasks, the end of the list will tend to contain longer divisions than the beginning of the list. You decide to do the task “Check Diary”. You re-enter it as it’s a recurring task and at the same time a couple of new tasks get added. You now have two sections divided by the crossing out of Check Diary. Chose one task from each section and do it. You now have three sections (it would have been four if you had not chosen a task next to the one already done). Do a task from each section. The second section consists of only one task “Post Letters” so you have to do that one. At some moment I have, say, four sections. So I do one task from section 1. If I cross the task immediately, then the section 1 gets divided into two halves. If I get distracted at this moment, how I can make sure that when I am back to the list, I choose a task from what preaviously was section 2 (but now is section 3, because section 1 has been divided into two parts)? Mark, I really like that you keep coming up with new ideas. I will be testing this soon! Mark – just curious how this new idea handles urgent tasks. It would seem that, the more sections that are added as the list progresses, the more difficult it would be to action newer items. Has this been an issue for you? "Do one task out of each half. The list is now divided into four equal halves." .... why "equal"? 1) let's say you currently have six sections, so you have to do one task out of each section. What if after task 3 you go to bed. How do you know the day after which sections you already did a task from and which you didn't? It seems to me that basically (as in FV) you have a preselection stage (select one task from each section) and a do-your-tasks stage where you finish each task you selected (in the order of "what stands out"?). I use sticky flags in my book, so I might try this out by preselecting a task from each "section" with a flag. And then do each of the flagged tasks as they stand out and cross them out. Once all flags are gone, preselect a new task from each new section and continue. 2) How many sections will you stabilize at? It seems to me you could simulate this quite easily with a computer. If you assume that lists keep their length (i.e. for each task crossed out a new task appears), you can simulate how many sections you will end up with given a list of length x. Since you probably don't want more than say 6 preselected tasks, you could calculate the ideal length of your list. Oops, well spotted! It should read "unequal". I have amended it. It's not really a problem. 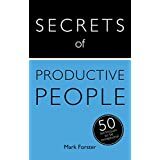 The answer is never to leave the list with your current task unmarked. If you take a break after finishing a task, either leave the finished task open (i.e. marked with a dot, but not yet crossed out) or select the next task and put a dot by that. If by "urgent task" you mean something that needs to be done by a specific time that day, then you would be best doing that out of sequence. However I've found that the method is very good at preventing tasks from becoming urgent because it forces you to deal with them reasonably quickly. See my answer to Michael above. I've probably explained it ambiguously, but the idea is not to preselect but to select one task and do it, then select the next and do that. Of course if you prefer to preselect that is fine. It's not that easy to predict because the number of open sections depends on the placing of the actioned tasks (in the example there are three sections rather than four because of the placing of one of the tasks). Currently I have 20 open sections and it's working fine. Assuming you pick tasks randomly from each section, the following graph shows a simulation of the number of sections you will tend to have (on the Y-axis), given the number of open tasks on your list (on the X-axis). Obviously, the longer your list, the more sections you will have. 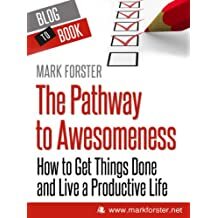 As you can see, and as Mark already mentioned, the sections gravitate toward the beginning of the list, forcing you to to do most of your tasks at the beginning of the list. I still wonder... if like Mark, you have a list of roughly 60 open tasks with the corresponding 15 or so sections, it will take quite a while to go through one cycle of your list, won't it? So if something semi-urgent comes up, it will take a while to get to it. A solution (tweak? :P), may be to allow yourself to skip a maximum of one section at a time (but not the first section). If you have 60 open tasks and 15 sections, that means you will *have* to do at least tasks in 7 of those 15 sections before going back to the start of the cycle. Sure, this does make the rules a bit uglier. 1) I think it's preferable to do urgent tasks out of sequence. I think once one starts skipping sections the main point of the method is in danger of getting lost (but see my third point below). 2) Your random simulation has produced the following distribution of tasks: 1, 3, 4, 4, 1, 1, 18. You can compare that with my 17 sections, containing the following tasks: 1, 2 ,1, 2, 1, 1, 6, 1, 2, 8, 7, 1, 7, 1, 8, 27, 12. A total of 88 open tasks, if I've added them up correctly. 3) One amendment to the rules I have considered is that a section containing a singleton should be combined with the next section. This would mean that there would always be a choice of tasks. It would also have the advantage of cutting the number of sections. So my 17 sections would be combined as follows: 3, 3, 2, 6, 3, 8, 7, 8, 9, 27, 12. That's reduced it to only 11 sections. Yours would be done 4, 4, 4, 2, 18 reducing your seven sections to five. There would be no need to physically combine the sections; you would just need to remember that when you came to a singleton you should select from it plus the next section. So far I haven't found it necessary to use this amendment, but if I start getting bogged down I will try it. 1, 1, 1, 4, 1, 3, 4, 2, 4, 6, 1, 6, 15, 11, 28. That's a total of 88 tasks, the same as before. I have the feeling of having cleared a lot of good work today. Mark, Welcome Back!! Glad to see you have not forgotten about us, your productivity loving buddies! I was wondering, would you do the Speed Test of this ASEM? By the way, I am reading Do It Tomorrow (great book! ), and it seems your thinking has evolved considerably since that time! 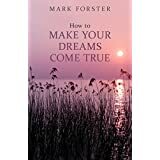 I think what the world needs is rather than an FV book, to simply write an updated book on what is your latest thinking of productivity and on making our dreams come true. Because, as you know, even doing it 1% more effectively means we can spend more time in joy with our loved ones, time that we would not get when we are less effective. So imagine if it is 20% or even 100% more effectively! Sorry, I've no idea what this means. Should there be a reference or link here? Thanks for the response, Mark. I'll be honest, I didn't expect to like this new idea. I was really afraid of urgent tasks being left undone. After just a single day of use, I'm a convert! I really like having many small lists come up throughout the day, as well as the ability to (somewhat) control just how many sections there are. Just like every other system you've discussed, my biggest hurdle is to keep reminding myself that it's not just okay, but encouraged to dismiss tasks regularly until such time as they can actually be tackled. I'll admit that I have a vice of checking this site every now and then... hopeful that Mark will post a new idea. Very Excited to try new list! Unfortunately I haven't dated my workings so far so I can't give any results at the moment. But I'll start from tomorrow. I assume if you work on a task/project and it is unfinished then it gets added to the end of the list. Thus sticking with the little often principle rather than finishing a task/project before moving on? The answer is yes in principle. But I've found in practice that I tend to finish tasks wherever possible. I've also found that the system works best when large tasks are split down as small as possible. For instance I cleared a paper backlog in record time by entering each individual piece of paper as a task. Just out of curiosity sake, have you given up completely on SMEMA? I haven't given up on anything. I just keep experimenting. And if the experiments throw up something I think might interest some other people, then I write about it. As I said at the beginning, no one is forced to try it and it does not invalidate any other method. I've established my base line for the speed test, starting today with 116 tasks on my list. 1. The actions of partitioning sections actually reduces choices, which is a good thing in many ways I think. You are forced to choose amongst an ever diminishing number of tasks in greater sections, which reduces the overhead of having to scan the entire list before a suitable chain is chosen in FV. Here, you just jump over a section, choose a task from a small list and do it. 2. I find that tasks with finer granularity tend to do better and so agree with Mark's point on that. Actually, I've found myself naturally evolving to this, rather than listing projects on my list, even with the other systems. That's because I find myself losing the feel of a project's urgency this way. I don't mind putting things like "what's the next step" or "review file to check status" if I want to move it along. But otherwise, I find it more effective to just write the various steps in a project as far as possible. 3. Most of Mark's systems are easy to implement electronically, and this is no exception. I can't explain, however, why I've never been successful at a solid system that I stick with, be it Evernote, or even Mindmanager for task management. I plan projects, conduct research, outline my case files all very well using software, but when it comes the actual doing of a task, nothing has worked better than pen and paper. I guess it's the speed of reaction to changing circumstances that make analogue systems work better for me. Thank you Mark for sharing your new experiment. I think I like it better than FV for its quicker reaction time and shorter sectioned lists. Why not just do one task from every page? Have you tried both? How do they compare? I've had to put off the start of timing until today because I found yesterday that starting with a list of over 100 tasks stopped the system working properly. I expect it would have settled down in time. But I decided to start over by building up the list gradually, and it's been working much better today. No, the sections scared me from the beginning. But that was exactly what my brain needed to find the page mode. So far I love it and it works for me. It's even fun. I use pen and paper with 30 lines. I have worked with this plan for the last 2 days. I spent about 10 hours with it yesterday. I admit that I got a lot done. The list grows organically. However, today, I notice that the tasks that I have to choose from are in different places in my home. As the list gets longer, and the task are short, I would need to sit down, stand up, walk, go to the computer, go to the bedroom, go to the desk, go to the living room, etc. This switching from place to place is getting a little wearisome. This morning I chose from the tasks that I could do at my desk, then at my computer. Any solutions to this? Perhaps this method might be a good alternative as a change of pace. I had the same problem with AF and its variants. Well, you could have a separate list for each room in the house, and switch between them at predetermined intervals. But my own feeling is that moving around is no bad thing. Sitting in one place for hours is not very good for one's health - look on the moving as taking exercise. I've finished my first day with my new list, and have done 45 tasks with 42 remaining. So I have 0.93 days' work remaining in the system. This shows how heavily weighted the system is towards the start of the list. 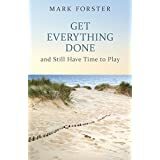 Do you start all over everyday? ie: the divisions go away and you pick from the whole list and follow the rules from there out? Or just keep the divisions from day to day. If this is the case, do you start at the top of the list everyday or pick up at the division that you stoped the day before? Mark, in your opninion do you think a system that gravitates to start of the list is good or bad? The extremes would be a strict FIFO (first in, first out) list and a LIFO (last in, first out) list. In the FIFO list you do the tasks in the order in which they are written down. The advantage of this is that everything gets done eventually if you stick to it. The disadvantages are that it's completely inflexible, makes no allowance for urgency at all, and one's mind may rebel against never having any choice about what to do next. In the LIFO list you do whatever happens to be the last item on the list. The advantage is that a lot of tasks get done very quickly. The disadvantage is that a lot of tasks never get done at all. All systems using a full list are trying to achieve the best possible balance between these two extremes. If the list is weighted too far towards FIFO it is too inflexible. If it's weighted too far towards LIFO then one is processing too much trivia at the expense of the weighty stuff. The system proposed here allows a fair amount of flexibility and gives a choice of task most of the time. 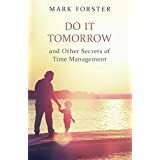 But as I've said above it won't deal well with really urgent stuff, which is best dealt with out of the system under the "if it needs to be done now, do it now" rule which applies to all time management systems. Wondering if you start the sectioning of the list anew everyday, or do you stick with the sections day to day? Also, if you stick with the same sections, do you always begin working the list at the top section and then proceed down; or do you pick-up in the section where you left off the previous day? I have been trying ASEM, and it is very very good. I would not have imagined this, but it is working better than FV. To me, not needing to commit to a whole mini-chain, but actually choosing the most desired task, one at a time. And being confined by the sections, simply makes things more interesting and I progress much more with a lot less resistance. 44 tasks remaining: 1.4 days work left in system. I stick with the sections day to day. I pick up where I left off the previous day. I now know what Mark means by dealing with the urgent stuff off list. It's necessary to temporarily stop working the sections and work the urgent matters that come your way. FV is more accommodating that way, as well as more able to cope with bigger tasks at say, the project level as opposed to individual tasks. As an example to illustrate my own experience, today while working on my sections, something urgent came up which required me to evaluate the whole case file to brief my boss. As part of that briefing, I had to complete some smaller tasks which I had previously entered in my main task list. This of course threw my neat sections out of whack. FV would have dealt with it quite nicely. A task called "prepare for briefing" entered at the end as part of the current chain, and worked on after completing the task at hand. Any smaller tasks inadvertently done by that task would simply be crossed out at the next chain selection process or when weeding the list. So, I think FV has its own unique strengths that's probably more suited for my kind of work. It was great to discover this by working the system because I end up trusting my choice even more knowing why it works for me so well. Can you elaborate on how you did this? If you had 43 pieces of paper, did you enter 43 tasks as separate lines onto the list in one shot, or did you keep entering the next five at a time ... did you write them in a descriptive way for each paper (requiring you to inspect the papers as you wrote them), or did you write generically "next piece of paper"? And so on. I ask because I haven't had much luck breaking things down like this. I tend to do it in ways that bog down the list or become irrelevant quickly. I have the feeling that I could get a lot more out of these systems by learning to break things down better, and I would really like to give it a proper try. Thanks for any guidance. If I remember rightly, I had about 15-20 documents, all requiring a certain amount of action, e.g. bank statement needing to be reconciled, report needing to be read, letter needing a reply. I think if I had had 43 pieces of paper, I would probably not have entered them all at once, but in two or three batches.